Used 1939 Ford Coupe for Sale in Denver CO 80220 Weisco Motorcars, LTD.
1939 Ford Deluxe Coupe full custom with a 471 Blower on a Corvette 327CI V8 and turbo 400 automatic. 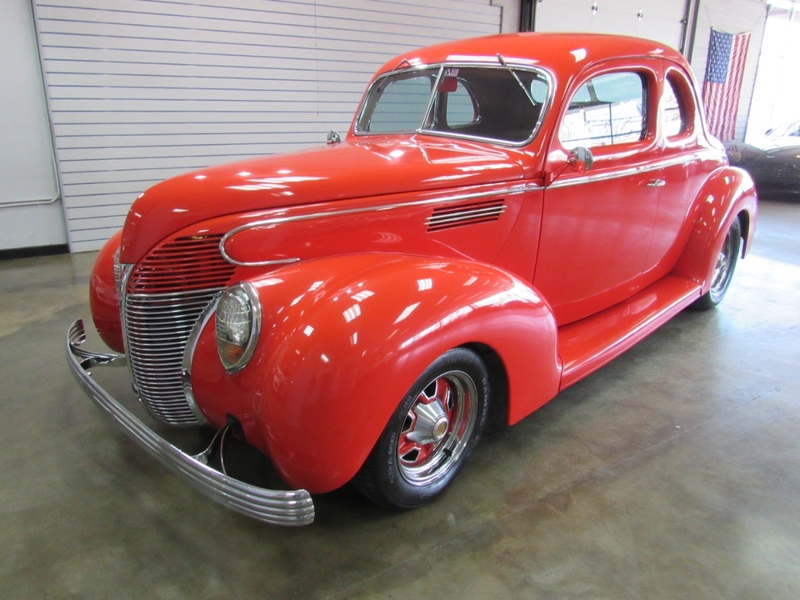 This car has well over the asking price in the build and is a very nice driving Street Rod. This is an all Steel body on a 1939 Ford frame and was built by Harvey Yakel out of Longmont Colorado back in the 80's and still looks today as it has been in a garage under a car cover. Has nice custom touch's like: power windows, custom wheels with Ford center caps, Tape player, seat belts, power wipers, power steering, and much more. This car is fast as it has a Corvette 327CI V8 with a 471 Blower and is all chromed out and looks good. The Body and paint are in very nice shape with only some small chips but no door dent in this all steel body 1939 Ford. The inside is in very nice shape with no wear and still shows very nice. Call Paul with Weisco Motorcars for more info or to set up a time to stop by for a look over this Ford Coupe. Message: Thought you might be interested in this 1939 Ford Coupe.